We're number on! Says who? 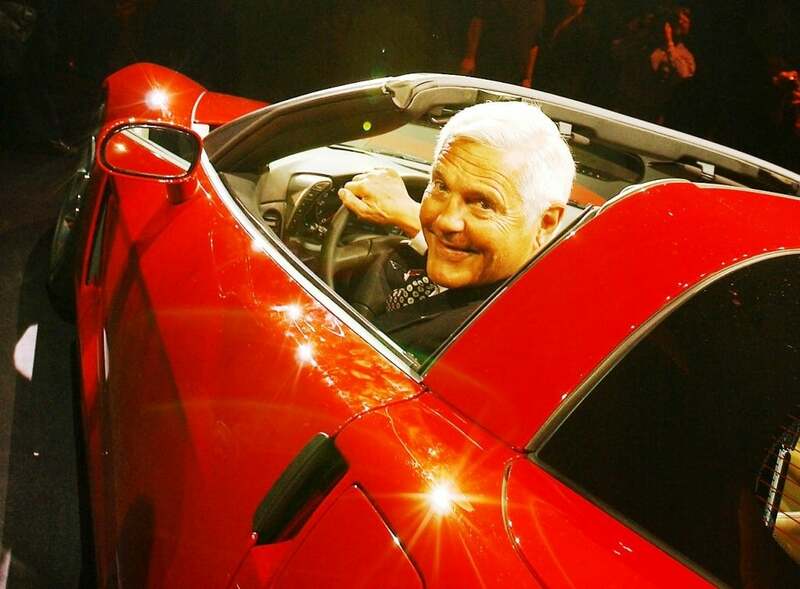 Bob Lutz is back and still shooting from the lip. Bob told the German journalist that the top three car companies in the world were now GM, the Volkswagen group, and the Hyundai group. Click Here to Check Out DeniseMcCluggage.com! It was several years ago when the Hyundai Sonata first tapped some journalists on the shoulder and said: “Let me change your mind about Korean cars.” And it did. But that Sonata turned out to be what some of us call “a 20 minutes car”. Great first impression but instead of growing on you over time that early Sonata bared its shortcomings with use. It had learned the words to the song phonetically but didn’t yet know what they meant. Hyundai kept at it. And the newest Sonata is singing lustily with meaning. (I still like the Kia Optima better.) As I’ve said elsewhere it’s no longer “the Koreans are coming:” they have arrived. And with engines confidently a-burble. Yes, I’ll agree with Bob’s including Hyundai Group in the top three. Toyota was on its way to world leadership. First place in sales. Though not in the hearts of car aficionados . Lovability has always been a mystery to Toyota. Designers and engineers would pile on amenities and best-in-class statistics and still gain only wide acceptance, even admiration but, alas, not love. I call these add-on efforts pearls in a box lacking a string. Car lovers read (and write) car magazines. Most car buyers are – factually – rarely car lovers. Most buy cars because they need what a car does: carry people and things transporting them with relatively little trouble or expense. A car does those tasks better for most than say a Clydesdale, an Irish Mail, a Segway or a restored P-38. These people need a car, but they don’t crave one. The Camry and Honda’s Accord have sold so very well for a long time because they meet the needs of those people. Honda used to do it with more imagination and style and had in their stores cars that drew car lovers, too. I can remember when we journalists treated a Honda intro as a catalog for our own cravings. Wha’ hoppen? Matters get curiouser and curiouser with Honda, but they still have to know how so one can only hope the jarring occurrences surrounding the earthquake and tsunami have now turned both Honda and Toyota toward recapturing their status of old. I expect a renaissance, already nascent, from both. Then we have Bob Lutz’s ranking of the Volkswagen Group as second in the world. Credit his marine-bred loyalty at work here that led him to rank General Motors above the VW phenomenon. Now with Porsche under the VW umbrella the company looks like a Yankee batting lineup from my childhood. Audi, Bentley, Bugatti, Lamborghini, Porsche (and Seat and Skoda for the rest of the world.) C’mon Bob. GM needs a nuclear slingshot to be competitive with such a collection. Bob once berated me for not having one American car in a list of favorites I had compiled for a long ago column. (Really long ago.) Well, that was true then. I found few American cars desirable then. (American pick-ups still rule.) But what could be more American that refusing to settle for second best? But now I’m really going to get him mad at me. Look here: I don’t think GM is even on top of the heap in Detroit. I think of GM, Ford and Chrysler as sailboats moored alongside one another near a busy channel. As the harbor traffic comes and goes these boats rise and fall, one’s mast shooting higher than the others, then another and the other. Rise and fall. Not too long ago Chrysler was so low I suspected it had sprung a leak. The Detroit Big Two and a Half. Then the Italians arrived. Tada. Walter P.’s legacy is bobbing away again. Now I see Chrysler’s mast as reaching farther heavenward than either Ford’s or GM’s. Quickly let me say I have absolutely no behind-the-scenes knowledge, no inner view. No market analysis ability. This is an instant snapshot of bobbing sail boats and a sense I have about the relative energy level of the three Detroit companies. It’s a feeling, a sense. And I’ve felt an enlivening enthusiasm at Chrysler which along with surging improvement in their products makes me excited for them. And I adore the Fiat 500. As for GM, Cadillac had a lot of that exciting energy for a while – all that Nurburgring testing. And it showed in the chassis development. That is still the best thing about GM in my experience of it: the chassis. Which is the most basic brick in the structure so that’s a good thing. The Caddy CTS-V Sport Wagon which I expected to love because I prefer wagons to sedans and supercharging to turbo and easy power to not so easy. Papers looked good, pictures looked fine. But in real life the interior was meh and the driving experience a letdown to me. Maybe not enough seat time. Anyway I was under-whelmed. No wonder an Audi beat the Cadillac it in its class at the Active Lifestyle Vehicle awards. 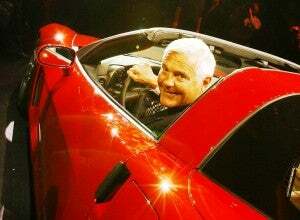 I’m sure Bob Lutz has seen lots behind the curtains as he returns to GM that makes for his enthusiasm in ranking them Number One. But I sense more at Chrysler and I go with my instincts. But really, Bob, how can you put VW anywhere but first? I just got back from driving the new Audi A6 up Santa Fe’s ski mountain. Whoo. Only one thing wrong – it was a sedan and won’t come here as the Avant I prefer. But Crikey. Such a car…. This entry was posted on Monday, November 7th, 2011 at and is filed under Automobiles. You can follow any responses to this entry through the RSS 2.0 feed. Both comments and pings are currently closed.